This subliminal MP3 can be listened to anytime and anywhere because all your conscious mind hears is the music while your subconscious mind listens to the positive and beneficial suggestions for boosting your desire to exercise. Gently and safely release those negative emotions (whether you know what they are or not) that have been blocking you from reaching your full potential. Total health includes the emotions not just your physical health. 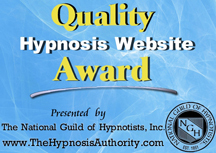 Meeting Challenges this hypnosis MP3 is 41 minutes long and is to be listened to at bedtime. Because it has a sleep ending it will guide you into a deep, natural sleep. Take heart and learn how to meet the challenges you face in life proactively instead of reactively. Learn to handle stress in control and calm. Releasing Fear this hypnosis MP3 is 45 minutes long and allows your subconscious mind to choose between drifting off into a natural deep sleep, OR awakening upon completion of the recording, whichever is most appropriate for when you are listening (choices ending). Are your fears holding you back from living a life that feels safe and joyful? Release those self-limiting and self-sabotaging fear based beliefs and feel the freedom. Uniquely You this hypnosis MP3 has a choices ending and is 36 minutes long. Listen and feel good about yourself because you truly are wonderful and unique…there is no one else like you. Celebrate this and live your life with confidence. Intermix the MP3s and play them often…your subconscious mind loves the repetition and will follow through and give you the peace of mind to slip into a deep, natural and restful sleep.